Even though this vintage strawberry drawing is only in black and white, it somehow still looks plump and luscious to me. With a little bit of clever coloring I bet you could easily have this beauty done up in full color. 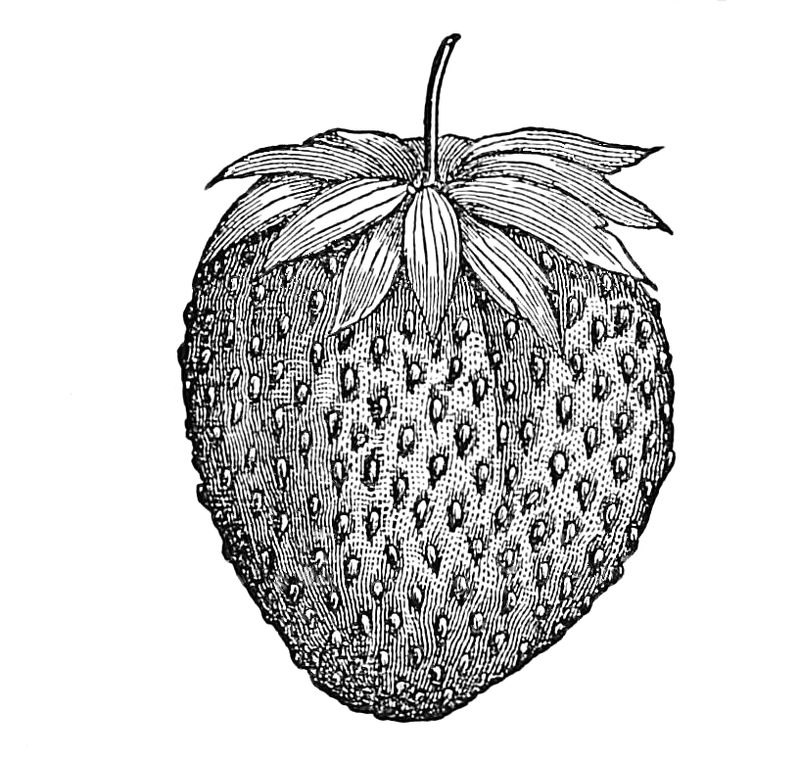 The strawberry drawing was used to advertise a gardening book. The advertisement appeared in the American Agriculturist v.26 of 1867. What that means for us is that it is fully in the public domain and can be used however you wish; with or without colorization. Like so many of the wonderful illustrations from that magazine, I’m able to share with you a huge version of this strawberry drawing. It’s so big, it doesn’t fit within the page very nicely. So, if you want to use this strawberry image in your own projects, best bet is to click on the one here and use the largest version.